The trailer for Seth MacFarlane’s R-rated Western-Comedy A Million Ways to Die in the West looks exactly the way those familiar with the MacFarlane brand of humor might expect. The trailer shows MacFarlane along with Charlize Theron and Liam Neeson in action as a cowardly sheep farmer, a woman of mystery, and a notorious outlaw, respectively. Amanda Seyfried, Neil Patrick Harris, Sarah Silverman, and Giovanni Ribisi make appearances as well. In between the jokes, the trailer provides a quick overview of the plot. To recap from our previous article, MacFarlane meets Theron when she arrives in town. She trains him to become an expert gunslinger so that he can help save the town from Neeson, who is both the most wanted criminal around and Theron’s ex-husband. The humor seems well within MacFarlane’s comfort zone, meaning that it will not appeal to everyone. As the title promises, it does in fact show all the varied ways in which people can die in the West. Interestingly, while the characters all speak like people from the 21st Century the film appears to avoid any blatant breaches of historical accuracy; all the technology and clothing seems plausible for the time period. The production A Million Ways to Die in the West definitely marks a step up in scale from Ted and will mark the live-action debut of MacFarlane himself on the big screen. 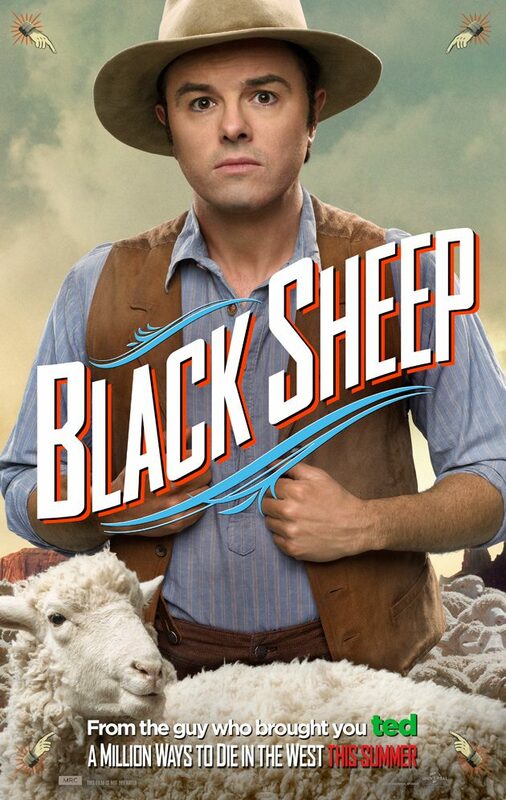 Audiences will find out if MacFarlane cleared this hurdle on May 30.